BOSTON — With a letter of authentication from Emily M. Weeks, Ph.D., Jean-Léon Gérôme’s (French, 1824-1904), “Evening Prayer,” or “Prayer in the East,” sold at $423,000, with buyer’s premium, at Skinner’s September 21 American and European works of art auction. The oil on cradled mahogany panel, 19 1/2 by 31 7/8 inches, has recently been confirmed as an original work from the artist’s hand, and will be included in Week’s revision of the artist’s catalogue raisonné. 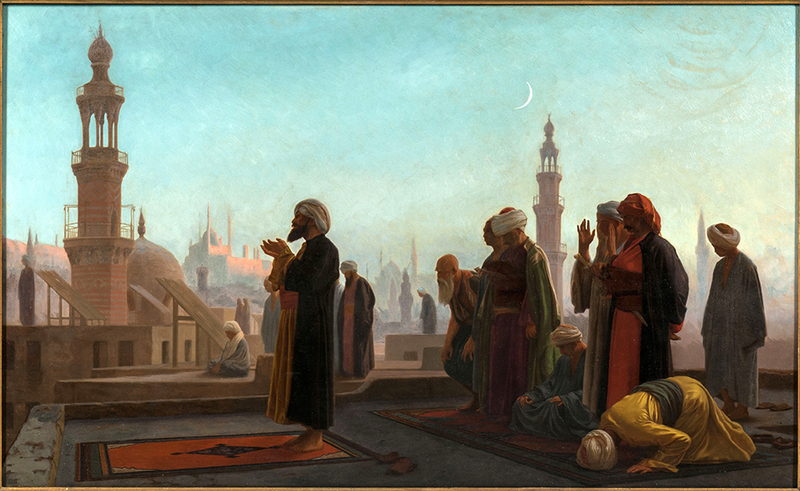 In the 1860s, Gérôme began a series of pictures depicting Muslim men at prayer. These would become a signature theme of the artist’s, and among his most popular Orientalist works. “Evening Prayer” holds a special place within this important group; a “perfected” version of one of Gérôme’s most evocative compositions, with all of the technical hallmarks and intellectual nuances of his art. A full review of the auction will appear in a future edition.